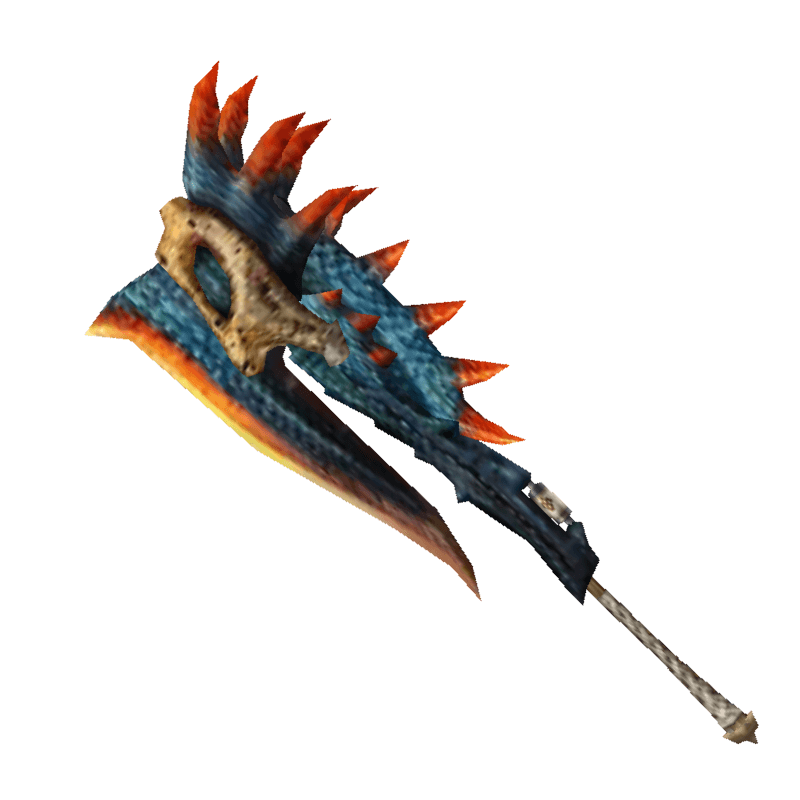 An axe that channels the Lagiacrus's power. With each slash, azure light blooms. / The Bolt Axe's final form. Its electric currents have reached their highest voltage.